Racing in the Swiftsure International Yacht Race for the first time? Below are some frequently asked questions. We also recommend you familiarize yourself with the applicable Notice of Race, available here. A. The safety requirements for monohulls, which apply to yachts racing under either the PHRF or ORC handicap systems, are the Swiftsure 2019 – Safety Equipment Requirements For Monohulls posted under the Registration tab, Notice of Race & Safety Equipment Requirements. The Four Long Courses have been designated as Coastal and the Swiftsure Inshore Classic as Inshore. To the right of each safety requirement an “X” will indicate where it is mandatory for either the Coastal or Inshore category. The safety requirements for multihulls racing under PHRF handicap system for the Cape Flattery and Juan de Fuca courses are the Swiftsure 2019 – Safety Equipment Requirements for Multihulls, posted under the Registration tab, Notice of Race & Safety Equipment Requirements. These safety requirements were developed in consultation with representatives of the Northwest Multihull Association and the British Columbia Multihull Society. Q. Are there any major changes to the safety requirements for 2019? A. The Safety Equipment Requirements for monohulls and for multihulls are provided under Registration, Notice of Race & Safety Equipment Requirements. There are few changes for 2019 but racers should read all of the SERs applicable to their race course. Q. Do I need to have insurance for my boat? A. Each participating yacht must have third party liability insurance covering property damage, personal injury and death in an amount not less than $500,000 (Canadian or U.S.) per occurrence, and the policy must cover yacht racing activities. If you are a Canadian yacht and are seeking insurance, we recommend Navis Marine Insurance Brokers, Swiftsure’s Marine Insurance Provider. Q. What kind of sailing experience should the skipper and crew have? A. There are no minimum sailing experience requirements to race in any of the courses. However, your attention is drawn to item 4.2 in the Safety Equipment Requirements which pertains to practicing man-overboard procedures appropriate for the boat’s size and speed. You will also want to review item 1.2 of the Safety Equipment Requirements for monohulls and multihulls which includes that boats must be “…manned by an experienced and appropriately trained crew who are physically fit to face bad weather”. If you are racing in one of the Four Long Courses, you must understand how the Traffic Separation Scheme works in the Strait of Juan de Fuca. If you are the Person in Charge and racing Swiftsure for the first time, it is a good idea to include some crew who have previously raced in Swiftsure. While not required, it is recommended that you have participated as a skipper in at least one overnight race or have experience as a crewmember in all aspects of seamanship and navigation in overnight races. Also, the Swiftsure Committee will be pleased to introduce you to an experienced Swiftsure Sailor who will act as your mentor as you prepare for the race. Simply email the Race Event Chair, and we will introduce you to someone in your area. Swiftsure also recommends that skippers have taken the Offshore Personal Safety “Safety at Sea” course offered by BC Sailing and the US Sailing Association, but this is not a mandatory requirement. Navigation is an important aspect of safety. It is highly recommended that one person be designated as the primary navigator and that there be at least one other person (unless racing single handed in the Swiftsure Inshore Classic) be identified to be back up navigator. When racing at night, vigilance in keeping a lookout is necessary as there is a considerable amount of commercial and other traffic in the Strait of Juan de Fuca. Q. What is a transponder and why is it required for the Four Long Courses? A. Transponders are GPS tracking devices that are secured to your boat for the duration of the Swiftsure race if you are doing one of the Four Long Courses. Swiftsure uses Globalstar SPOT transponders. The Race Committee uses the Swiftsure Race Tracker system to identify the location of competitors. Please note, however, that the SPOTs are not part of the Global Maritime Distress and Safety System so if you have an emergency on board you should call the Coast Guard using VHF Channel 16. When calling you do not need to know whether you are in US or Canadian waters as the US and Canadian Coast Guards coordinate their responses. Depending on the nature of the emergency you may also wish to activate your EPIRB or PLB if such are onboard. The transponders also enable your family and friends on shore to monitor your progress through the Swiftsure Race Tracker system, with LIVE race views available via the website during the race weekend. See the Swiftsure Race Tracker page under Race Info for more information about transponders. Through this link you can even replay the prior year’s race to see the route taken by the competitors. Q. How much lead time is required to prepare my boat and acquire all safety equipment? A. It’s a good idea to start your preparations early. You may need to order some items (e.g. sail number banners to be affixed to lifelines) or borrow some safety gear. Don’t forget you need to fly on your backstay a numeral pennant indicating the race in which you are competing. The yachts racing in the Swiftsure Lightship Classic and Hein Bank races must fly numeral 1; the Cape Flattery Race for Multihulls fly numeral 2; the Cape Flattery Race for Monohulls fly numeral 3; the Juan de Fuca Race for Monohulls fly numeral 4, the Juan de Fuca Race for Multihulls fly numeral 2, and all of the Swiftsure Inshore Classic competitors fly the numeral 5 pennant. It’s also a good idea to deal with any maintenance issues, such as your engine, well before you leave your home port destined for Victoria. Q. Where can I find information about the race courses? A. Information about the Swiftsure 2019 race, including the course options, is found in the Notice of Race & Safety Equipment Requirements on the Swiftsure International Yacht Race website. The sailing instructions will contain detailed information about the courses (e.g. ; latitude and longitude of turning marks). Swiftsure 2019 Sailing Instructions will be available online after Monday May 13, 2019 on the Swiftsure website. Printed copies will be included in the skipper’s race package, which will be given to skippers when they check in at Swiftsure Centre in Victoria on May 23rd and 24th. Q. How do Monohulls Obtain a Rating Handicap? The New PHRF Member Application to obtain a PHRF rating is found at: http://phrf-nw.org/welcome-to-phrf-nw/phrf-forms/. ORC: Locally boats race under ORC-Club. ORC-Club is designed to be simple for boat owners to obtain a rating. For ORC-Club, measurement data can be accepted as declared by the owner or obtained from any other source, including photos, drawings, designs or data from identical or similar boats. Sail measurements can come from sail design data, from one-design data, as measured by the sailmaker or measured by an ORC measurer. There are more measurements than is required for PHRF, and the measurements are not the same. The process is quite straightforward and can be done online. Go to http://www.orc-canada.org and use the link on the front page to the ORC-Club Online Application. Enter the measurement data for the boat. Basic rig data can be taken from brochures and sister ships or from sources like http://sailboatdata.com . Sail measurements can be obtained from design data that the sailmaker has or from measurements made by the sailmaker. To obtain a certificate with the least amount of effort, the applicant will need the dimensions for the main, largest genoa, and largest spinnaker. The ORC Canada Rating Office will receive the application and will generate a Test Certificate for review. Once the owner is satisfied with the Test Certificate, he/she can go to the payment page using the link on the front page (Renewals and Payments), fill in the basic personal and boat data, and then press submit. A payment page will be displayed and must be completed. When the Rating Office has received notice of payment, it will issue a Racing Certificate. The boat data will then appear on ORC Sailor Services. Q. What do I need to know about entering Victoria Harbour? A. This Greater Victoria Harbour Authority map shows Victoria Harbour, including the vessel traffic separation scheme that will keep you out of the seaplane take-off and landing zones, fuel dock, Inner Harbour Causeway floats where registered Swiftsure yachts will moor, the Canadian customs dock, and seaplane and ferry terminals. Details are included here for entering the Victoria Harbour. BC Ferries, a Swiftsure Sponsor, operates routes from Tsawwassen (Vancouver) and various Gulf Islands to Sidney (Swartz Bay), approximately 32 kilometres north of downtown Victoria. City bus service via BC Transit is available from the ferry terminal to downtown. BC Ferries Connector runs buses from downtown Vancouver to downtown Victoria via BC Ferries. Foot passengers may purchase tickets on board the ferry; the bus terminal is very close to Victoria’s Inner Harbour. The Black Ball Coho Ferry from Port Angeles docks in Victoria’s Inner Harbour. The Washington State Ferry goes from Anacortes to Sidney, and a bus or taxi can be taken from there to the Victoria Inner Harbour. Harbour Air Seaplanes, the World’s Largest Seaplane Airline, flies between Vancouver and the Inner Harbour. A long-standing Swiftsure supporter, Clipper Vacations (passenger only, no vehicles) transports guests from the docks in downtown Seattle to Victoria’s Inner Harbour. Clipper Vacations offers a 10% discount to 2019 Swiftsure participants for travel dates May 21 through 31, 2019; family and friends – reserve online using promo code ‘SWIFTSURE’. Or phone for a ‘SWIFTSURE’ reservation at 800.888.2535. Kenmore Air flies from Seattle to the Inner Harbour. Please note that your transportation plans should put you in Victoria by Friday in order to race on Saturday. Q. Where do I clear Canadian Customs? A. Go directly to the Canada Customs dock located to starboard in the middle harbour area east of Fisherman’s Wharf, and north of the Coast Victoria Harbourside Hotel which you can see from the water. To arrange Customs clearance, contact Canada Border Services Agency at 1-888-226-7277. There is a phone located on the Customs float that will connect you with Canada Border Services Agency. The Customs dock can accommodate vessels up to 160′ or 49m in length. If your vessel is over 160′ or 49m, contact Customs to make alternate arrangements. For further information, see CBSA’s Information page. A. In cooperation with our sponsor, Greater Victoria Harbour Authority, Swiftsure provides free moorage for all race competitors’ yachts on the Thursday and Friday before the Swiftsure start and, for the Four Long Courses competitors yachts upon their return to the Victoria Harbour, up to and including Sunday night, May 26th at all Inner Harbour Causeway Floats and at Ship Point. Rafting will be necessary. Competitors’ yachts in the Swiftsure Inshore Classic are offered free moorage at the Royal Victoria Yacht Club on May 25th and, if required, they may moor without charge at the Inner Harbour Causeway Floats and at Ship Point on May 26th. Moorage may be available at the Causeway Floats prior to the race. To make arrangements for moorage up to and including Wednesday May 22, 2019 or after Sunday May 26, 2019 contact Greater Victoria Harbour Authority reservations (you will pay the Greater Victoria Harbour Authority directly for moorage other than for May 23 to 26). Moorage is available for non-racing support boats for a fee at other locations in Victoria’s Inner Harbour, including the Coast Hotel, Fisherman’s Wharf, and the Greater Victoria Harbour Authority’s docks at the foot of Fort Street. Q. Where can I buy fuel for my boat? A. Greater Victoria Harbour Authority operates the Fuel Station dock in the “middle harbour.” See the Fisherman’s Wharf map here. It is the only outlet in the Victoria Inner Harbour for fuel. The staff are friendly and helpful. Q. Where do I go for last-minute marine equipment, safety gear, or foul weather gear? 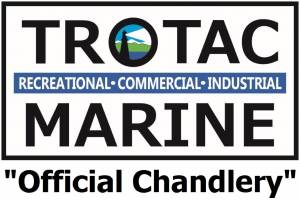 A. Trotac Marine Ltd., one of Swiftsure’s sponsors, has virtually all the equipment and clothing you will need, including yacht gear, foulies and Sperry footwear. Trotac is located at 370 Gorge Rd E, telephone 250 386-2341. Trotac will have a tent on the Inner Harbour docks on the Friday and they will be able to advise you whether or not they have what you need in stock at their retail outlet and will arrange to transport you there. Q. Will I be able to have a diver clean the bottom of my boat or do other diving work? A. Swiftsure has arranged with Storm Coast Dive Services to be available at the Causeway Docks on the Inner Harbour to provide diving services for Swiftsure racers before the race. Please call ahead at 250.732.4061 to book a particular time. Derek VanMaanen and the team of fully qualified professionals at Storm Coast Dive Services focus on safe, reliable, quality work. Q. Where do I go for short-term haulouts, electrical, engine or rigging repairs & maintenance? A. Canoe Cove’s Marine Community, Swiftsure’s platinum sponsor, will help you arrange a haulout, Blackline Marine can fix your hull there and tune your rigging, Raven Marine or Vector Yacht Services can put most engine makes in top running form. 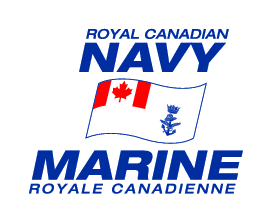 The community includes Raven Marine, Blackline Marine, Vector Yacht Services and Canoe Cove Marina. 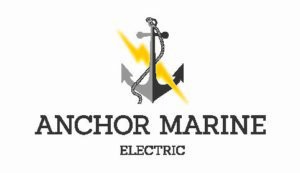 Contact them for your marine needs; their complete array of services will provide great satisfaction and they are located together at 2300 Canoe Cove Road. Q. What if I have sails to be repaired? A. UK Sailmakers Northwest is Swiftsure’s Official Sailmaker and will do their best to help you. Call them at 250 656 8843 or 1.800.563.7245. They’re located in Sidney BC at 2212 Harbour Road. They will pick up and drop off sails to Victoria’s Inner Harbour. Q. What if I need the numeral pennant for my start? A. UK Sailmakers Northwest can be contacted at 250 656 8843 or 1.800.563.7245 to provide you a numeral pennant. Victoria Flag Shop is located within walking distance from the Inner Harbour at 822 Fort Street (250 383 3524). Q. Are there any grocery stores nearby? A. Thrifty Foods James Bay location at 475 Simcoe Street is within a short walking distance and is open 24 hours a day, seven days a week. You can also order online (note you will need to register on their website) or by phone at (250) 386-2554. Orders can be delivered for $5. The Red Barn Market at 395 Menzies Street is also within a short walking distance and has a large sandwich bar and locally raised meats and smoked cheeses. It is open 6 AM to 9 PM, seven days a week. Q. Where can I buy beer or liquor? A. The Strath Liquor Store at the Strathcona Hotel, 919 Douglas Street is nearby and is open 1000 to 2300 every day. Spinnakers Beer & Wine Merchants, #3 – 435 Simcoe Street in James Bay, is open 7 days a week from 0900 to 2300. The nearest provincial liquor store is in James Bay at 101 – 225 Menzies St, phone (250) 953-3996 and hours are 0930 – 1900. In BC, liquor is not yet sold in grocery stores. Q. Where can I find a bank machine? A. There are a number of banks located between View and Fort Streets where they cross Douglas Street (right downtown, just ask anyone on the street for directions). A. Swiftsure has a number of Preferred Accommodation Partners, all close to the Inner Harbour. Ask for the special rates offered to Swiftsure competitors and their family and friends. Q. What activities are available in Victoria for shore supporters while the race is on? A. Shore supporters are encouraged to watch the start of the race on Saturday morning from Clover Point. A pancake breakfast is available there from 8 AM. The first race starts at 9 AM. Shore supporters may be interested in visiting the Royal Victoria Yacht Club during the late afternoon and evening of May 25 to enjoy a no host barbecue and awards presentation for the Swiftsure Inshore Race. Prince of Whales Whale Watching, a Swiftsure sponsor, runs terrific whale watching tours from Victoria’s Inner Harbour. All Prince of Whales Whale Watching tours include magic, natural experiences. Call 1-888-383-4884. There are many wonderful restaurants. The Sticky Wicket pub in the Strathcona Hotel (919 Douglas Street) and Spinnakers Brewpub – Canada’s first brewpub (308 Catherine Street) are a must visit when in Victoria. Tourism Victoria has information about attractions and things to do in Victoria. Of course, The Butchart Gardens are always a popular attraction and can be accessed by bus from the Inner Harbour.